Well equipped and spacious, great location, free parking during the fiesta. The apartment was well situated and the Old Town was close by. Free parking nearby was great. The location was fabulous. 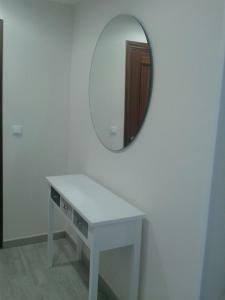 Right in the heart of logrono.nice clean apartment. Apartment was very spacious great layout very comfortable bed great shower and bathroom very clean almost perfect this place . Great location just outside the hotspot. This apartment is perfectly placed for visiting Logrono. 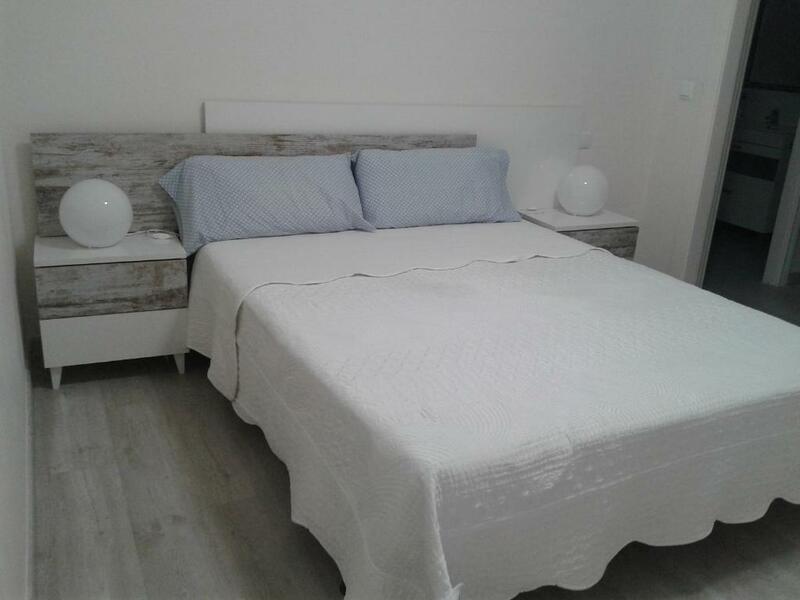 It has recently been renovated and everything is new and bright and of high quality. The bed is very comfortable . You have everything you will need for a comfortable stay. The owner , Bruno is very welcoming and helpful and explained where the free parking was - only 5 minutes walk away. The shops and tapas bars are also 5 minutes walk. Lo limpio que Están y la ubicación. Cerca del casco antiguo, pero sin estar en el meollo y cerca del mercadona y otros supers. Parking gratuito Cerca. La situación del apartamento es muy comoda por su situación céntrica. La avenida donde está situado el apartamento está muy concurrida y muy cerca de las calle El Laurel y otras donde existe muchos bares tipicos de esta zona. 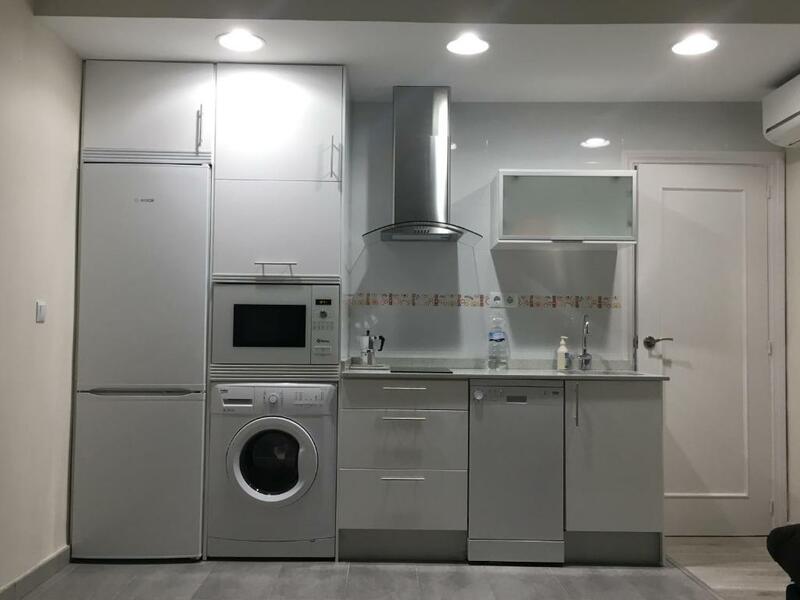 Existe aparcamiento público cerca del apartamento. El apartamento dispone de todo lo necesario y no he echado de menos ningun utensilio de menaje y de confort. La ubicacion. Lo moderno del apartamento y muy bien decorado. Y el espacio interior con su vestidor. 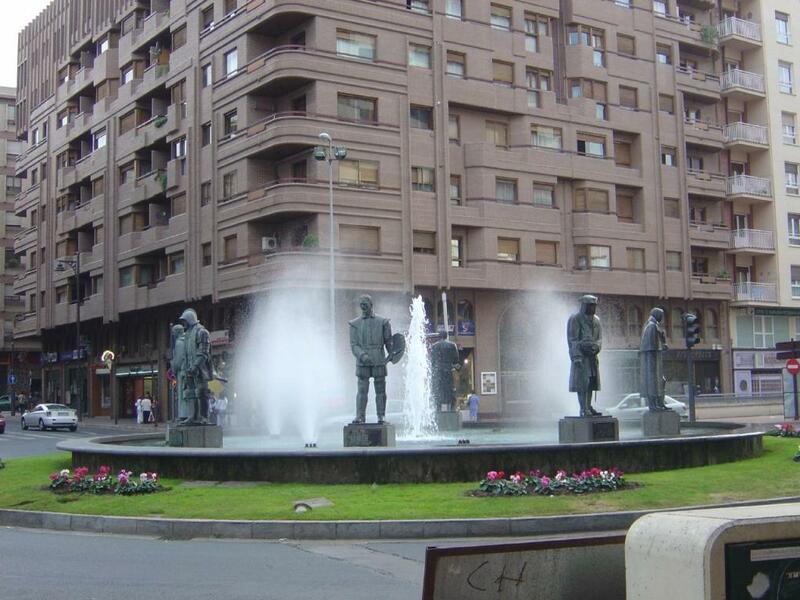 Lock in a great price for Apartamento Gran Via Logroño – rated 9 by recent guests! 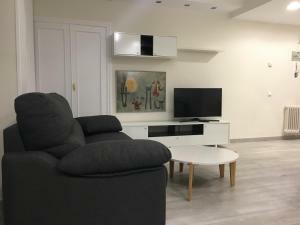 Apartamento Gran Via Logroño is located in Logroño, a 16-minute walk from Laurel Street and 900 feet from International University of La Rioja, in an area where cycling can be enjoyed. This apartment is a 6-minute walk from La Rioja Museum and 0.6 miles from Saline Spa. The apartment comes with 1 bedroom, a flat-screen TV and a fully equipped kitchen that provides guests with a dishwasher, an oven, a washing machine, a microwave and a fridge. The bathroom features a shower and free toiletries. Logroño Town Hall is an 18-minute walk from the apartment, while Co-Cathedral of Santa María de la Redonda is 0.9 miles away. The nearest airport is Pamplona Airport, 54 miles from the property. 뀐 Located in the top-rated area in Logroño, this property has an excellent location score of 9.5! When would you like to stay at Apartamento Gran Via Logroño? This apartment has a washing machine, patio and flat-screen TV. Apartamento recién reformado situado en la emblematica Gran Vía de Logroño que dispone de zona comercial,a 150 metros del centro historico de la capital (Calle Laurel,Portales) Parking privado debajo del edificio y parking público gratuíto a 200 metros. Newly reformed apartment located in the emblematic Gran Vía of Logroño that has a commercial area, 150 meters from the historical center of the capital(Calle Laurel,Portales) Parking just below the building or free public parking at 200 meters. AGRADABLE Y SIMPATICA, CONOCEDORA DE LA RIOJA Y DE LOGROÑO, OS INVITO QUE VENGAIS A VISITARNOS. El alojamiento Ideal para grupos de 4 personas para pasar una corta estancia de 3-4 días y conocer la comunidad y disfrutar del turismo de bodegas y gastronomia regional. Atención a los huéspedes Flexibilidad de horario, acompañamiento a la llegado y asesoramiento en todas las dudas sobre visitas, turismo... El barrio Avenida Gran Vía de Logroño, es la calle mas céntrica y emblemática de la capital. Cómo moverse Para desplazarse por la ciudad no es necesario ningun medio de transporte, el trayecto mas lejano son 10 minutos andando. Parada de taxi y autobus en la puerta. House Rules Apartamento Gran Via Logroño takes special requests – add in the next step! Please inform Apartamento Gran Via Logroño of your expected arrival time in advance. You can use the Special Requests box when booking, or contact the property directly using the contact details in your confirmation. We were very disappointed that the aircon did not work at all and it was extremely hot. The windows can’t be opened as the noise from the lobby was loud all night. We would have appreciated a fan for the 4 days we were there but we were told technicians were busy at this time of year. The internet was extremely slow and we had to go to restaurants and use their WiFi to down load pictures. Apparently the building does not have fibre yet! We have no fibre at home and our internet is nothing as slow as this! A very disappointing stay! Constant noise from lift shafts. Apartment seemed to back on to the four lifts. It really was a clunky sound. Access to bathroom via bedroom. This would have definately been a 10 - but unfortunately the apartment is situated next to the lift shafts in the building and we were disturbed by the noise of the lifts being used from 6am each morning.